Relax in your own private retreat without leaving home. Located in the heart of Gillette you will find this divine family home with nearly 3,000 s.f., 5 bedrooms, 3 bathrooms, living room with gas fireplace and large family room, also an office/workout room. The kitchen highlights include gas cook-top stove, built-in double ovens, large breakfast bar, reach-in pantry and main level laundry. 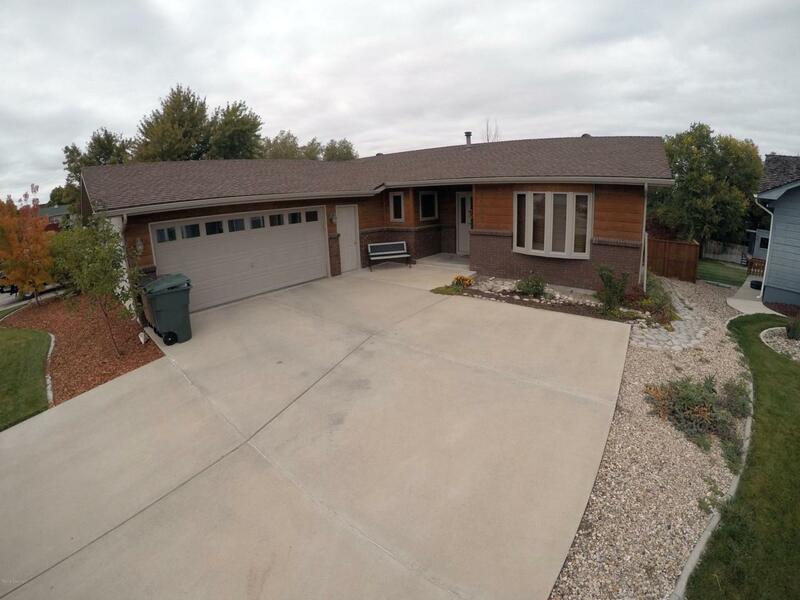 The true delight of this property starts with oversized maintenance free deck, perfect for entertaining leading into the privacy fenced back yard with sprinkler system, rock accents, trees, and large paved patio (perfect for a fire pit or hot tub). Near Paintbrush Elementary and Sage Valley Junior High Schools. Call/Text Melissa Sturdevant 307-751-6994 to view or for more information. Listing courtesy of Melissa Sturdevant of Era Priority Real Estate.